CLEVELAND– The Cleveland Cavaliers are looking at lineup changes ahead of Wednesday night’s Game 3 against the Golden State Warriors. One of those changes is going to be finding a way to get Rodney Hood more minutes. Hood hasn’t started a playoff game for the Cavaliers since Game 1 of their opening round series against the Indiana Pacers. The Cavs were blown out in that game, 98-80. From there, Hood was moved to a bench role, and by the final game of the Toronto Raptors series, he was out of the rotation. It certainly didn’t help matter when he refused to go in at the end of Game 4 in that series in garbage time. Since then, he has received DNP-CDs in six contests. Throughout the playoffs the 6-foot-8 Hood is averaging 4.4 points, 1.1 rebounds and 1.1 assists in the playoffs. He saw more success during the regular season after was acquired at the February trade deadline, and averaged 11.2 points, 2.6 rebounds and 1.5 assists despite dealing with a lingering back issue. But even though he has faced some adversity as of late, Hood insists he will be ready if his number is called. Hood only played one game against the Warriors this year as a member of the Utah Jazz. In that game back on Dec. 27, Hood put up 26 points, had five rebounds and three steals in the Jazz’s 25-point loss. As Hood told ESPN, head coach Tyronn Lue has been speaking with him about the versatility he can potentially bring on the defensive end in the Finals. 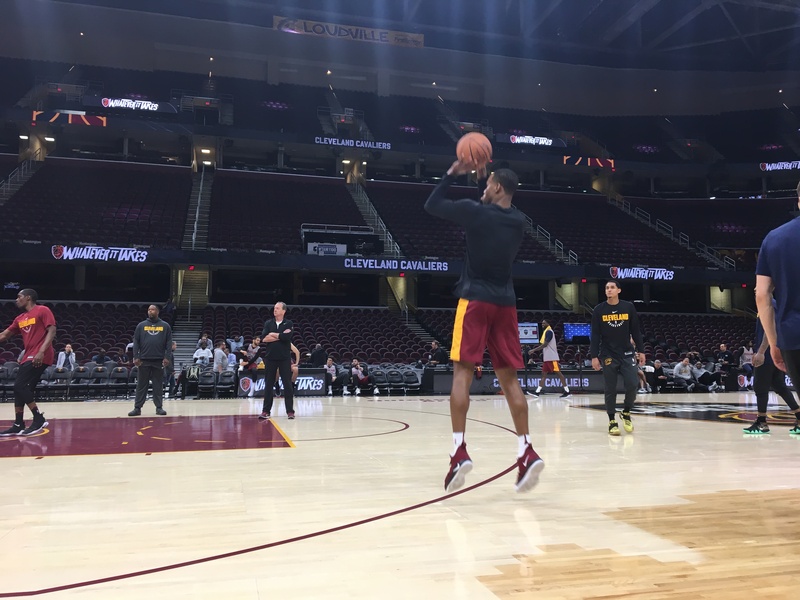 That versatility in his game is also something Kevin Love pointed out following Tuesday’s practice. Game 3 tips off Wednesday night at 9 p.m.